Author TristanPublished on June 12, 2018 June 12, 2018 Leave a comment on New Tropic Marin Miracle Product! Tropic Marin have recently announced a new product called CarboCalcium that is allows addition of calcium and carbonate in a balanced ratio in a SINGLE PRODUCT. Available in liquid or powder forms (dissolve the powder in reverse osmosis or deionised water to make up a long lasting stock solution) this range of products has the potential to revolutionise the hobby. 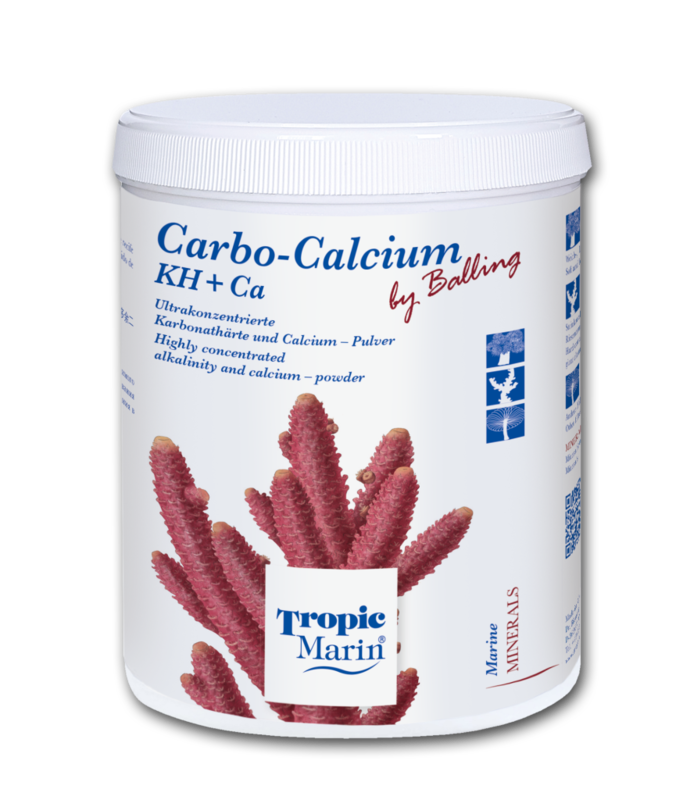 Tropic Marin say: "With Tropic Marin® Carbo-Calcium, the total calcium and carbonate hardness needs of a typical reef aquarium can be covered with a single solution, without any additional unwanted compounds or excess carbon dioxide being created. Minerals are consumed through the growth of organisms and other processes in the aquarium and must therefore be supplemented regularly. 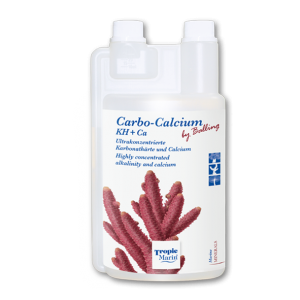 These include mainly calcium and carbonate hardness elements for the growth of the calcareous skeletons of stony corals, red coralline algae and other reef organisms. The special co-ordinated components in Tropic Marin® Carbo-Calcium provide excellent care conditions in only a single solution. Tropic Marin® Carbo-Calcium prevents all the side effects of other methods of calcium hardness: the pH remains stable; there is no excess CO2 and there is no risk of unwanted phosphates being introduced through coral breakage. In addition, there is neither a creeping increase in salinity, nor increased oxygen consumption through carbon compounds". 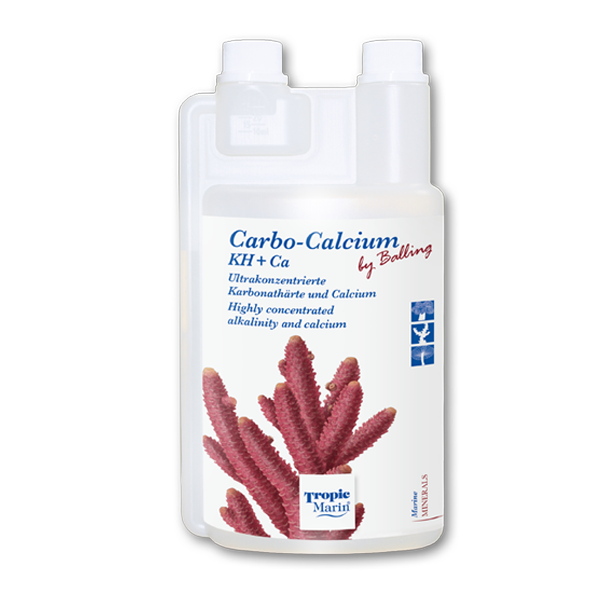 Tropic Marin® Carbo-Calcium prevents all the side effects of other methods of calcium hardness: the pH remains stable; there is no excess CO2 and there is no risk of unwanted phosphates being introduced through coral breakage. In addition, there is neither a creeping increase in salinity, nor increased oxygen consumption through carbon compounds. Previous article:Spontaneous decisions can be the best!